One of my most anticipated releases of the past few years finally hits stores today, The Strokes‘ 4th album “Angles“. The magic of the Strokes is really hard to put in words, their main draw is the fact that they make un-pretentious Rock music that’s just fun. They don’t try to pad their lyrics with deeper meanings, and they don’t try to stretch their sound in directions they aren’t comfortable with. They just do what they know they are good at, which delivers some classic material. This album pretty much delivers the same, but not quite in the way one would expect. For the most part “Angles” stays true to their original sound, with tracks like “Under Cover of Darkness” “Taken for a Fool” and album closer “Life Is Simple in the Moonlight”. However the group throws in some curve balls to their sound, like “Games” (which is not one of my favorites) takes on a 80’s Pop vibe at points, where as “Two Kinds of Happiness” is reminiscent of The Cars’ new wave sound. And total stand out, “Machu Picchu” gives off a early Police vibe in the mixture of Rock and Reggae. This experimentation for the most part works, because they mainly stick to their own sound but just highlighted by these new tricks. And since the majority of the album is them sticking to their roots, it still feels like they are being themselves. The album leaves you feeling like they delivered another good Strokes album that will fit nicely into their discography. That’s mostly because of the fact that they didn’t seem to feel the need to prove anything to any listeners. A lot of groups who haven’t recorded together for over 4 years would probably feel pressure to make their “comeback” a Masterpiece album, The Strokes seemed to want to give their fans what they were used to. And you can’t really fault them for that, it just feels like they wanted to gather more great songs for their upcoming tours, and if that was the purpose of the album they succeeded. Radiohead has been probably the most critically acclaimed contemporary Alterna-Rock group of the past decade, and with good reason. They are the kind of group that is popular because of their longevity, critical acclaim and sales but musically still feel like underground Indie groups with their always different and un-commercial sound. Their 8th album “The King of Limbs” is no exception, although at only 8 tracks it does feel like more of a side album, it’s still pretty fantastic. The album still has that heavy Radiohead stamp, dream like instrumentation with Thom Yorke’s mumble-y vocal performing style, though on “King of Limbs” everything is even more subdued. In the vain of Portishead or even at times early M83, they deliver songs that are mostly carried through the music alone, “Feral” a stand-out is actually only music and the majority of the albums highlights have more to do with the music as opposed to the lyrics or vocal stylings. Even with the heavy stuttering percussions, and electronic blips, nothing ever feels really aggressive which makes it work so well together. The group subtly go from electronica and drum & bass inspired tracks (album opener “Bloom”), to straight piano laden tracks (“Codex”) and acoustic numbers (“Give Up The Ghost”), but the music and vibe of the album is so understated you hardly point out the differences. There’s just an underlying calm and almost jazzy feel that is strung throughout the entire set. Which shows the group are musical geniuses, they don’t have to go as far to prove anything to the listener. On this album they were able to venture into new musical terrain, but doing it at a very calm and peaceful way and the album works so well because of it. Apparently I’ve been missing out, Mixtapes seem to be more risky and adventurous than most major label LP’s. Thanks to Pitchfork (and Beyonce news), I discovered Frank Ocean this weekend. 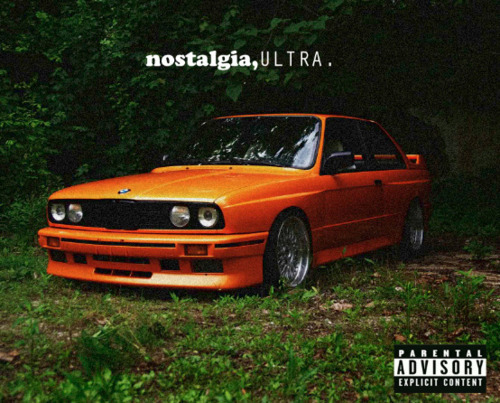 Ocean is a part of the highly buzzed about Hip Hop outfit Odd Future, and on his Mixtape “Nostalgia, Ultra” he takes the R&B route albeit over very Rock and Alternative leaning tracks. On one interlude he talks about how women expect him to take the Jodeci route “what’s a Radiohead anyway”, still Ocean sticks to his musical guns and sings over tracks from Coldplay and The Eagles to surprisingly wonderful results. He also turns some very simplistic tracks into some very thought provoking and compelling songs. What sets him apart from Drake or Kid Cudi, the two acts you could closely compare his sound to, is he doesn’t talk about the typical things in his songs. On the standout “We All Try” he calls out for the world to believe in something “I just don’t believe we’re wicked, I know that we sin, but I do believe we try“. “Lovecrimes” and “Songs for Women” are almost totally different than run of the mill radio R&B love songs. And the way he takes Coldplay’s “Strawberry Swing” and MGMT’s “Electric Feel” (for “Nature Feel”) and totally transforms them into songs that become his own, just lyrically and vocally, is near amazing. His spin on The Eagles classic and iconic “Hotel California” (“American Wedding”) does the same thing, and it’s truly genius. Lyrically, Frank Ocean is more than fresh and a much needed change from hearing the same stories in R&B and Hip Hop. Vocally he’s on point as well, his voice does have traces of the aforementioned Kid Cudi but with much more confidence. At many points in the album, with his phrasing and his creative runs he takes on a bit of a Brandy vibe just slightly more masculine. Frank is a talent that apparently nearly got wasted, this mixtape was released by him accompanying a tumblr tirade against his label Def Jam who he feels didn’t care about him as an artist. Hopefully the world will take note of his immense and unique talents and we’ll be hearing more from him in the coming years, he truly deserves the fame that some lesser talents have. On Pop Icon Britney Spears‘ seventh album “Femme Fatale“, yet again Ms. Spears delivers a perfectly fine Pop/Dance album. And yet again her voice is heavily vocoded and autotuned, and sometimes drowned out by the slick production, and yet again Britney doesn’t show that she contributes much to her music at all. On this album Britney takes the “if it ain’t broken, don’t fix it” approach and basically delivers “Blackout” part 2, and even if I expected more I can’t fault her for staying safe and in her own lane. Hopes and expectations aside, “Femme Fatale” is a perfectly passable Dance album. There are actually a few exciting moments that stand above alot of the Pop offerings in the past few years.The album opener “Till The World Ends” is the stuff of Dancefloor legend, with the call out and response “oh-oh-oh-oh-oh-oh-oh-ooh-oooh” hook, to the bass thumping production of Dr. Luke and Max Martin I’d be really surprised if this didn’t become an international anthem. “How I Roll” finds Britney in a more relaxed confident space, over a really refreshing and unique track by Bloodshy and Avant (there’s a Robyn vibe on the track, but Britney does manage to make it her own). And “Inside Out”, a sort of dubstep ballad, is a standout on the album with Britney’s voice being more in the forefront, with pretty clever lyrics as well. The rest runs the spectrum of slightly above average Dance singles like “Trip to Your Heart”, which takes a slightly experimental production take on EuroDance, as well as “Seal it With a Kiss” and “Criminal” which show more diversity with their more Pop/Urban leanings. And than there’s the terribly average Dance tracks like “(Drop Dead) Beautiful” “I Wanna Go” “Trouble for Me” and “Gasoline” which all are fun, but sound a little dated and like re-treads of stuff we’ve already heard. In the end you just wish that Britney had stretched herself a little further and took a few more risks, this could have been a masterpiece compared to her other work. Instead it just falls in line with the rest of her catalgoue with only quick glimpses of any growth. The album is still better than a lot of the Dance-Pop material over the years, and she’s more or less established herself as the Queen of the Dancefloor, since that’s what we should always expect from her in the future apparently. 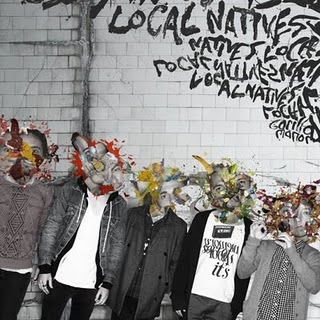 Another album I had been meaning to check out for the past several months was Local Natives. I just kept seeing them in the “if you like this artist , try” and “recommended” portions of iTunes. So I finally checked them out, and i LOVE their album “Gorilla Manor” and the group itself. Here’s the thing, they do share some similarities with groups like Vampire Weekend, Temper Trap, Grizzly Bear etc. They totally fit into that indie/organic/live group, but in so many ways they are at a higher level than them all. I’ve been listening to the album for about a month now, and I think I figured out what makes them stand out more so than the aforementioned groups. It’s that their sound is a perfectly blended mix of, well Everything. They are primarily Alternative, but they mix in R&B and Rock and Pop and Folk so effortlessly you don’t even catch it sometimes. The production and their instrumentation are really flawless, they obviously know what they are doing because nothing ever sounds forced or the opposite it’s not lacking anything. Another great thing is their lead singer who isn’t afraid to stretch his voice. It’s whiney at times (which seems to be the favored vocal style in a lot of indie groups, I have NO idea why– it gets annoying), but in appropriate spots. However as the music switches genres effortlessly, so does the lead singer. I mean he’s straight up Belting on the stellar single “Airplanes”, and he can get softer with slower heartfelt ballads as well as getting that rocker roughness on the uptempo numbers. And finally, unlike alot of other indie groups, their songs actually seem to be talking about something. Not just random words strung together that sound good within the melody (which also they excel at creating great melodies and great hooks to their songs). This debut is really impressive, and I hope to hear lots from this group in the future. They really seem to know their way around their instruments and the studio. They also seem to have a great grasp of music knowledge, being able to so effortlessly blend genres, and if this is just their first time at bat, I can’t wait to see what they’ll come up with on later albums. I bought Sleigh Bells‘ debut album “Treats” on iTunes maybe two months ago. And I have to be honest, I had seen that album for about a year and was intrigued by the cover but didn’t even listen to the previews until I read that Beyonce had worked with them for her new album coming up (they aren’t sure if they’re track will make the album). Than I headed to YouTube to hear if their sound would mesh with hers, and from the two or three tracks I heard I thought it would be an interesting match. So I went ahead and bought the album, and was surprised by it. They fall under this genre of “Noise Pop” (have no idea where that term came from, but it does kind of fit), they use heavy electronic sounds and they are amped up to be super loud and grungy. The beauty of the album lies in two things, first the album is easy to swallow because the group is smart enough to make their songs relatively shorter than most. The loudness and the hooks could become redundant and boring if a song was over 4 minutes, but at an average of just 3 minutes long, the songs are “bite size” enough to enjoy them. The other thing about Sleigh Bells that’s great is they are obviously fond of melody, and amongst the loud sort of angsty tracks, they supply really catchy and melodic hooks that make you remember each song. On a number of other electronic albums, it’s basically just the track and songs kind of blend in together and lyrics and vocals are just muddled into the mix. “Treats” is a great introduction to the group and their sound, which is pretty unique in that it’s really underground but at the same time has enough to make it radio accessible. Definitley worth a listen. >Dam I had this still saved in my New Posts section for two weeks now. So okay here we go (I actually saw this CD at Starbucks today so maybe that was a sign). Anyway, Adele‘s first album “19” was honestly at times boring but overall it was a really solid album, and most importantly it exposed the world to her talents which were beyond most of her competitors (*cough Amy Winehouse). Her vocals, her vocal control, her creative and unique runs, her flawless tone. Just listening to the very first track off that album shows she has all the potential in the world. Two years later she comes back the with the appropriately titled (if not a little lazy) “21”, and she has definitely stepped up her game. The biggest difference is the bigger and bolder production value of the songs. It has a nice Motown 60’s sound, but also more in touch with the blues and jazz stuff she obviously is into. This bigger production almost begs for her to fill the music with her big and bolder voice, and she does, effortlessly. The first single “Rolling the Deep” is a great example, a lesser singer would totally get drowned out with all the soulful instrumentation, same for “Rumor Has It”. While I applaud her for tackling more uptempo numbers on here (there were hardly ANY on her debut), she really comes alive on the ballads. “Turning Tables”, her cover of The Cure’s “Lovesong” are phenomenal in that she shows restraint but shows her full potential at the same time. “Set Fire to the Rain” is easily the best song on the album though, it’s intense, it’s lyrics are thoughtful and creative, and she elevates just like the production. “21” still isn’t like, the BEST album ever released, but it’s definitely a great follow up and solidifies Adele as an artist who truly stands above the rest vocally. >Concert Review: Mariah Carey, Christina Aguilera and P!nk. I haven’t posted anything, obviously, since the Grammy update. I was experimenting with Tumblr (d1esel6.tumblr) and wrote some quick music reviews there. And than I was contemplating closing this blog out, but maybe I just need to revamp how I go about this. So anyway, I thought maybe I should start by reviewing what I saw this weekend. This past Sunday, the LOGO network had a cool little Pop Diva marathon. They were showing Behind the Music when I woke up (Eve and Jennifer Hudson), and than after that they showed 4 concerts in a row. Concerts that I actually had on my Netflix Q, Mariah Carey‘s “Adventures of Mimi Tour”, Christina Aguilera‘s “Back to Basics Tour” and P!nk‘s recent “Funhouse Tour”. I’m pretty sure most of the shows were edited down for time and commercial breaks (I know, for instance, that P!nk not doing “Stupid Girls” or Christina not doing “Genie in a Bottle” was more of an editing thing because to not perform those hits seems strange) but they gave a good indication on whether or not the shows were any good. Mariah’s show, well I give her an A for effort. “The Adventures of Mimi” came after her big comeback with the album “Emancipation of Mimi” and I think she felt like she had to pull out all the stops. So there were big dance numbers and elaborate set pieces, and her scantily clad throughout. Mariah is great with her interaction with the crowd, that’s definitely where she excels. She was fun and funny, and at times genuinely heartfelt. Her voice, at times, was still phenomenal although not flawless. There were times when she kind of fell off the melodies, or just hit the wrong notes, but those were few and far between. And her stage presence, well it ain’t that great. I feel like her problem is that she’s too overly conscious of every move she makes. Though sometimes she busted out some dance moves that looked really natural on her. At the end of the show, I was satisfied with the concert. She ran through pretty much ALL her big hits and it was fun taking a trip down memory lane (I hadn’t listened to “Dream Lover” in I don’t know how long and I forgot how much I love it), she even brought out Boyz II Men (well three of the four original members) to do her gigantic mid-90’s hit “One Sweet Day”. Mariah really did give her all, she really tried and you can’t really fault her for the mis-steps, just comparatively it wasn’t the best show out there. Obviously great for True Mariah fans like myself. Christina Aguilera’s “Back to Basics Tour” faltered only because she pretty much sang nothing but “Back to Basics” material, and that’s not my favorite Christina album. I respect the album because she truly did go for the sound that she was into and didn’t get persuaded to change it, however that R&B meets Old School Jazz meets Pop sound doesn’t lend itself well for a big arena tour. I also should add, I think this was the most edited show of the three I watched. I just kept feeling like “Okay, WHEN is she gonna sing a song I know” and it didn’t come until the end. (I also got the feeling she was lipping big chunks of her show… I just never heard her BREATHE which is an indication) Where Christina excelled on this show was her confidence and her stage presence blew me away. She was ripping up the stage, and not that she was doing intricate dance moves or anything like that, she just was all over the stage with sass and attitude that was necessary for the material. Even the overall staging of the show was superb, “Makes Me Wanna Pray” and “Candyman” specifically were really well thought out as far as look and utilizing the stage. Towards the end, Aguilera lost some steam it seemed like. She ended with her classic “Beautiful” (terribly oversung) and “Fighter” which I felt was an ODD closer, but it worked. Overall, the show seemed a little disjointed and out of sync (and I think it’s because of the LOGO editing) but she LOOKED great, and her stage presence was on point. Better than I expected, but still not all that impressive. Now I saw P!nk’s tour in support of “I’m Not Dead” on DVD a few years ago, and it blew me away. I always knew she was a great singer and great performer but that concert was just EVERYTHING you’d want in a show. Her most recent “Funhouse Tour” took it up a bunch of notches. The stage presence that Christina had, and the interaction with the crowds that Mariah had, combined with some real Cirque du Soleil stunts, true musicality, and wonderful costume and set design really OWNS both the other concerts. I guess the thing that P!nk has is pure energy and not taking herself too seriously. And I should add, true versatility. She goes from Rock Anthems (the excellent cover of “Bohemian Rhapsody”) to slower acoustic sets (“I Don’t Believe You”) to pure Pop extravaganzas (a great rendition of “Get the Party Started”) all while joking with the crowd, making fun of her dancing, and being playful with her band. Of the three shows (there was a 30 minute Lady GaGa show I didn’t watch) P!nk really just seemed like she was the one actually having fun up on stage, and of course the audience and the viewer enjoyed it more because of it. Immediately after watching, I added the show to my Amazon playlist because I could definitely imagine myself giving that more than 10 viewings.